In Richard Millett’s guest post at CiF Watch, Channel 4s lying subtitles in Going for Gold in Gaza documentary, Millett demonstrated that the show’s production team may have intentionally mistranslated the subtitles to leave out words that would have shown Israel in a good light, and would have undermined the programme’s anti-Israel narrative. Indeed almost half of the documentary was devoted to a totally gratuitous demonization of Israel. The problem for Aidan Hartley, the presenter, was that none of the Paralympians he was interviewing had been rendered disabled by Israel. Their disabilities stemmed from either accidents or intermarrying or were hereditary. However, the subtitles used for the interview with the Palestinian Paralympians conveniently omitted their comments about being treated in Israeli hospitals and rehabilitation centers (per a translation provided to CiF Watch by a professional Arabic translator). I subsequently paid closer attention to the glowing review of the documentary in the Guardian, by Tom Meltzer, on Nov. 11th. Meltzer’s review similarly demonized Israel and omitted any mention of the free medical and rehabilitation care the Palestinians received in Israel. The cruel “siege” also allowed for 276 Palestinians during the week to enter into Israel and the West Bank for medical treatment, along with friends or relatives to accompany them. But, an even more egregious example of Meltzer’s biased report is one telling omission. Nowhere in the 363 word story does the word Hamas appear. 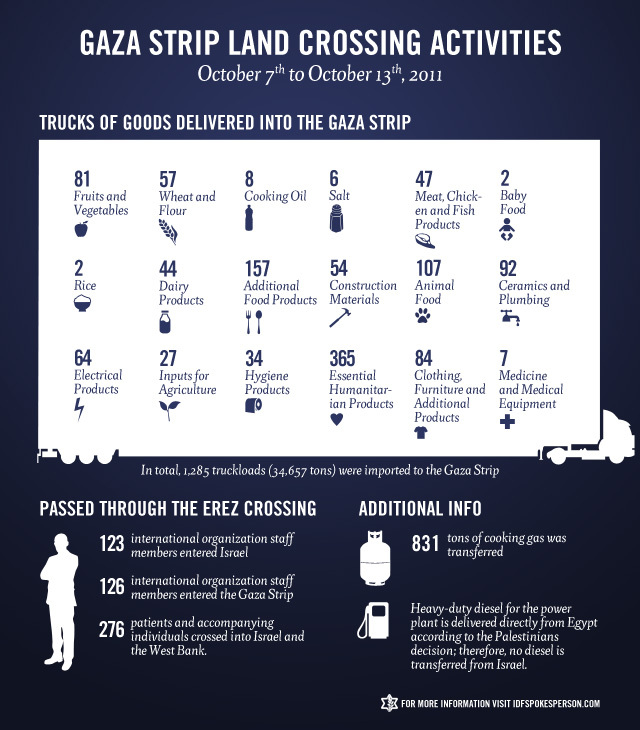 It’s quite a feat, really, to file a dispatch about deprivations in Gaza without making the intuitive observation that the terrorist government which governs the territory may bear some responsibility for the lack of resources – caused by a partial blockade necessitated by the Islamist regime’s prioritizing the use of precious national resources to import rockets and other deadly weaponry to be used against Israel. But, of course, such an admission would seriously compromise Meltzer’s poetic truth of Palestinian victimhood and immutable Israeli cruelty. When there is a competition between a fair and honest, nuanced report about Israel and the Palestinians vs. a poetic tale with familiar villains and victims, the latter will win out at the Guardian every time. Serves Israel right. Stop being nice to your enemies. disgraceful. But then, Guardian had no shame. This is new, tired of the linky linky thing you now use a blog post as actual fact on which to base another article. Fox News has done this thing for years and a recent survey found that people who watched Fox News were less aware of news than those who watched no news at all. Fact. Someone wrote a post about Gaza, (363 words long), denigrates Israel and yet finds no place the mention Hamas. Another case of Guardian ‘misrepresentation and omission’ but described by Georgina Henry and Matt Seaton as ‘fair and balanced’. Only on The Guardian. (Perhaps The Indy too). The declining readership of Der Guardian shows that the public is tired of its Socialist, leftist, progressively islamofascistphilic world-view. I have a theory, that instead of thinking about the context and the facts about what they will write, and being too unintelligent or lazy to do research, what are laughingly called Guardian “journalists” cobble their rubbish together from a selection of “prepacked” burblings which reflect the Guardian world view, rather like the items on a Chinese restaurant’s menu which are numbered so that gwailos can order what they want. We see this most glaringly in Hattie the Hen’s meagre and highly derivative offerings, but it’s also in evidence in most of what is above and below the line about Israel, particularly from the knuckle draggers of the PSC/ISM. Israel alone is evil, and abuses human rights (without mention of the human rights abuses of Palestinian Authority or Hamas or elsewhere in the world which are far more heinous) could be No 2, and so on. If we can compile that list, it could be published here and perhaps Adam could send it to Rustbucket as a Christmas present, so he’ll be able to manage with fewer staff and surplus can be dispensed with. Of course, the articles would be a bit samey, but they cannot lay claim to originality to thought or analysis anyway can they? I’ve just watched the programme again, and timed it. It ran for 28 minutes, of which, on a generous interpretation, seven were taken up with criticism of Israel. The seven minutes included an account of a small child dying from multiple injuries received during a drone attack and one of a disabled athlete being refused a border crossing to the hospital where his mother was dying from cancer. 7/28 was 25% when I went to school. Do you consider accounts such as the above to be ‘gratuitous’ in the context of a programme dealing with disability? I guess it depends on your general intelligence and sensitivity sencar. And the awareness and honesty to admit that often Palestinians put their children in danger or at least don’t take adequate care to keep them safe. The children are at little risk throwing stones at Israeli soldiers but it’s a total abrogation of parental responsibility to allow them to be used as human shields by Hamas, isn’t it, and yet they do so. Why do you think Palestinian parents do that? Why do they let Hamas get away with it? The parsimonious explanation for the poor child’s injuries is that the drone may well have been targeting terrorists who then did what they do best and had been trained to do, cowards that they are, and hid behind children and other civilians. Please provide one substantiated instance of Hamas using children as human shields. The most exhaustive investigation of this practice was carried out for the Goldstone Report in connection with Cast Lead. Israeli use of human shields was confirmed, Hamas use was not. Hamas using their children as a human shield against Israel. Most of this video evidence is worthless. It could be faked. It could be shot in another time/place. Often its meaning is unclear. For example the repeated shots of a man dragging a younger person across the street could suggest dragging to safety rather than into a target area. One distinction needs to be made. Gazans have clustered around buildings when given advance warning that the IDF is about to destroy them. You can call that using human shields if you like but it is not the same as fighting or hiding weapons behind human shields, and it is not illegal under international law. The frequent Israeli practice of forcing Palestinians at gunpoint to lead the way into danger areas IS an illegal use of human shields. I am still waiting for a substantiated case of Hamas making illegal use of human shields. IDF and politicians’ assertions are not good enough. Evidence from a respected NGO or neutral international body is required. It’s from a news item that includes testimony of more human shield incidents from a B’Tselem rep. There is lots of testimony concerning Israeli use of human shields during Cast Lead. I’ll post some if you still need convincing, Thank God I’m an Infidel. Prove that it is fraud, particularly given the “brave” Fathi Hamad’s statement. Note also that the “industrialists” of death are curiously reluctant to lead by example. Surely if it is the height of the desire of a shahid to love death more than life they should show how it is done, sencar. @TGIAI, sencar cannot. On the one occasion I read about where this happened the soldiers were court-martialled, whereas his heroes in Hamas are praised as heroes while children, old people and women are “encouraged” onto rooftops so that the likes of Hamad can hide behind them, or they use the wounded in Shifa hospital as human shields. When the poor in Gaza are offered financial reward for this gruesome human sacrifice, and they accept it, then that has to be even worse. And you really are lacking in subtlety sencar as well as discriminatory against Palestinians who you obviously believe to be too stupid to make choices which will keep their children safe: Wherever children and women “cluster” around arms depots, kassam launchers and munitions depots ( kept amongst civilians which is against the Geneva conventions) can you prove that they are given any choice in the matter? Whether or not that is illegal under international law is immaterial, according to basic human decency and natural law it is criminal to put children and noncombatants in danger wilfully. So tell me, Einstein, how can women, who have so much less power and status than men because of sharia law, and children who cannot in law give consent to anything let alone to becoming human shields be viewed as being able to withdraw from the mission at any time? As you are a professional fake yourself, what credibility do you think you have? I´ll answer for ya: ZERO. Good points, HairShirt, particularly about the inability of citizens of a country in a war zone to be able to consent to being voluntary human shields. This takes account of the pressures on them to do so, particularly in this case in the light of their lack of status in Islam and, that being the case, their equal inability NOT to consent to do so. Fellow travellers like sencar, on the other hand, not being citizens, could consent to be human shields in their stead. Come on sencar – put your money where your mouth is and help out your poor Palestinian brethren along with as many friends as you can muster. It’d be much better and more effective than the ridiculous aid convoys and the more exciting surely because of the element of danger involved. It also highlights the utter lack of creature feeling, humanity and conscience on the part of Hamas who manipulate this, not only to save themselves but deliberately to use these people as propaganda tools if they are injured so they can bleat to their useful idiots in the west and aorund the world about them. They don’t care a damn how many Palestinians and children get killed or maimed because it is grist to their propaganda mill. It’s interesting that none of the respondents to my posts have challenged the assertion that the IDF has routinely used human shields. The B’Tselem rep quotes several back in 2007, in addition to the one on video. Goldstone documents four examples. At least three IDF soldiers testify to the use of human shields as army policy during Cast Lead in the Breaking the Silence report. Similarly no-one as yet has provided a “substantiated case of Hamas making illegal use of human shields”. The Goldstone Report found no evidence of this practice and noted ”The Government of Israel has not identified any such cases”. Because they didn’t and B’Tselem is hardly a disinterested party. And haven’t you heard yet that the Goldstone Report was widely castigated as being based on faulty law and evidence? Goldstone himself apologised for it, and for the fact that the members of the panel were, by their own words and actions, biased and should never have been allowed to sit. Goldstone, a judge in South Africa during the apartheid era, most recently set out his reasoning that Israel is not an apartheid state. If you can’t believe the evidence of your own eyes sencar there is little hope for you. I suggest you get professional help. Myself, given the ease with which Hamas “encourages” little children to wish for a grisly death, I believe that Fathi Hamad was daft enough to be filmed saying what he did.